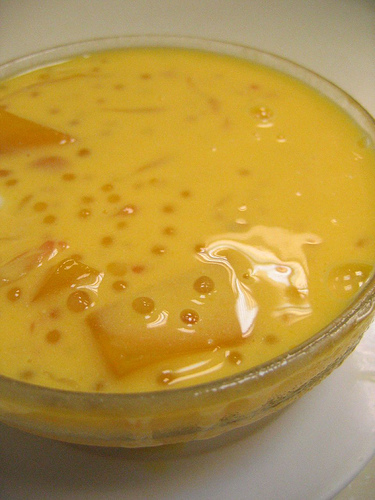 Mango Sago: Filipino Style Recipe: mango sago is a refreshing dessert that usually served during summer season. Usually the ripe mangoes cut into cubes then mix with mango juice, milk, sugar and tapioca �... Chop the mangoes (no skin) and reserve finely chopped mango pieces(1/4 of a mango) for garnish. Blend rest of the mango pieces with condensed milk and milk,sugar if desired to a smooth paste. Add more milk if you want to change the consistency.Transfer to a bowl,add the cooked sago. 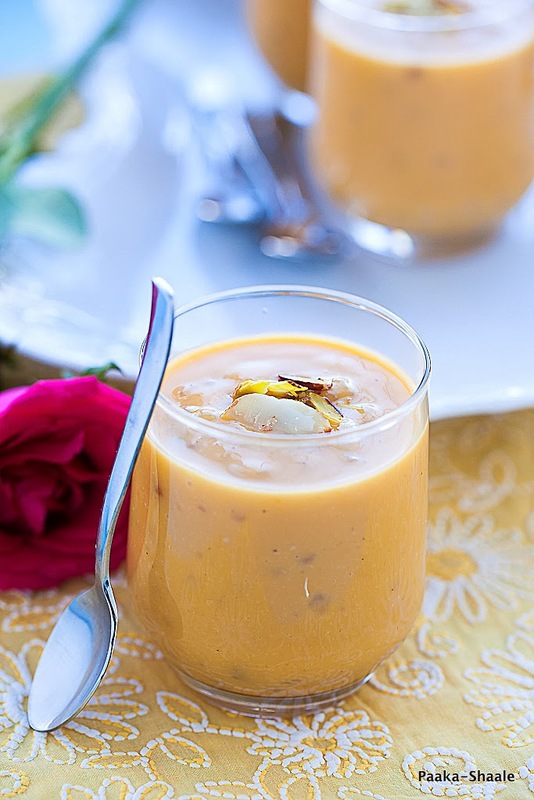 Tapioca pearls in coconut milk make a refreshing dessert, here spiked with salt as a foil for sweet mango and papaya. 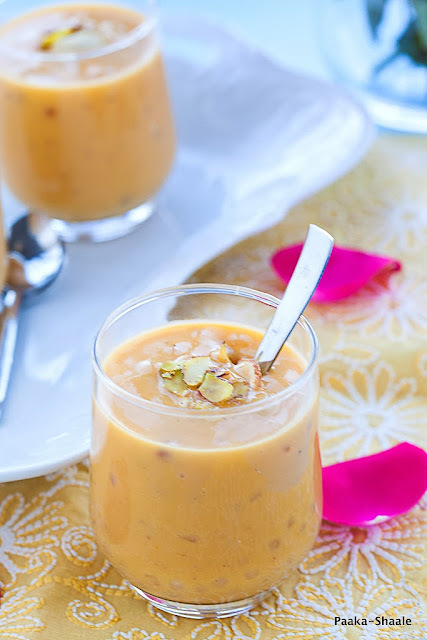 This delicious coconut mango tapioca pudding is the perfect treat for hot summer days! I have been experimenting quite a lot with tapioca pearls lately and they�re just great for puddings, cheeses, etc.